The majority of information we collect, and process, for the purposes of Site Specific Risk Information (SSRI) is non-personalised. We gather information about the use of the building, the hazards and risks, construction, operational and environmental considerations and information to assist in fighting a fire. 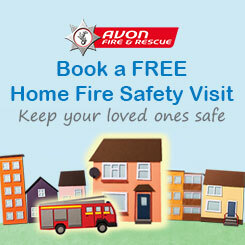 Avon Fire and Rescue Service (AF&RS) has a responsibility for the health, safety and welfare of our employees and a responsibility to mitigate the risk of fire (and other emergencies) and the environmental impact to communities. Fire and Rescue Services need effective arrangements for accurate, relevant and timely information of identified hazards and known risks to a premises/site and making this available to ensure the safety of firefighters. Information gathering and analysis of that information is of critical safety importance as it can be used to deliver appropriate training for personnel exposed to specific risks. Failure to provide the information may mean there is a breach of the Fire and Rescue Services Act 2004. We need your information to carry out our statutory duties under the Fire and Rescue Services Act 2004. The Act, places a duty on a Fire Service to obtain and provide information as part of its provision to deal with fires and other emergencies. This information is used by operational personnel during an incident to provide an effective response as well as to safeguard them and the community. We process this data under the lawful processing conditions of the General Data Protection Regulation (GDPR) Article 6(1) (e) because processing is necessary for the performance of a public task. Any personal information obtained for this process will be either provided by the individual themselves, from the organisation subject to the site specific risk activity or from other legitimate sources. Any written correspondence that is sent in relation to site specific risk information will signpost to the addressee where they can obtain a copy of this Privacy Notice and related policies. Information is shared between departments for administrative purposes and also to ensure the latest information is available to operational personnel.